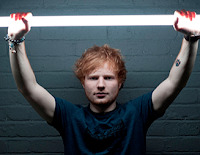 Ed Sheeran has released his new music video for "Don't," which can be viewed below. The track is taken from the singer/songwriter's latest album x. You can read our 5/5 review of x here. Dates and ticket information for Ed Sheeran's upcoming North American tour can be found here.